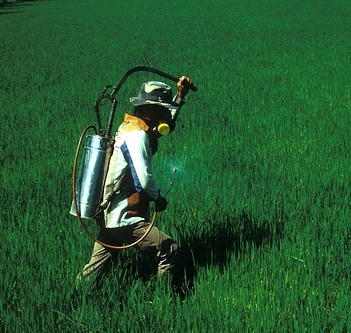 We used to think that kids were susceptible to pesticides until age 2. Now, researchers who are apparently trying to freak us out again have discovered that the toxic affects of pesticides are pervasive until age 7. The kids are lacking a particular enzyme until they reach that birthday, one called paraoxonase. Adults have this enzyme, but the kiddos don’t. And this is crucial to help the body neutralize and eliminate specific pesticides. So you may be chem-free at your house, but this is all the more reason to go organic for any produce you can—and know what the farms near you use on their fields. The culprits in this mess are organophosphate pesticides. They’re banned for home use, but are widely used in agriculture. These pesticides affect the neurological systems of insects, and some studies have shown that they also affect humans the same way. It’s been understood that the paraoxonase enzyme wasn’t yet developed in infants and newborns, but a previous study—of only 9 toddlers—claimed that they had the enzyme. But now, this study of 458 children followed from birth to age 7 shows that paraoxonase levels continue to increase steadily until then. Also, this enzyme is related to genetics. Certain families seem to have a higher quantity and quality (how fast it breaks down organophosphates) of the enzyme. So what now? Will our legislators step in with a sweeping measure to protect our children for these pollutants—these neurotoxins? Image: IRRI Images on Flickr under a Creative Commons License.